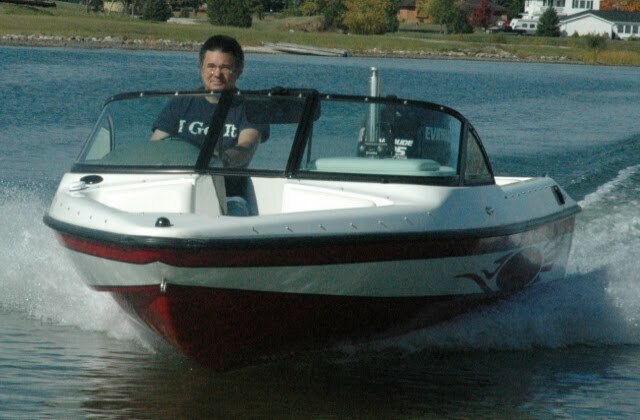 As Hydrodyne boats are aging (remember outboard "Hydrodyne" versions were last produced in 1991 or 1992) I'm getting more and more requests for parts and pieces. Tracking fins seem to be in the most demand. Without a tracking fin the older single motored boats don't work so well I have been told. I have experienced a 17.6 without a tracking fin and the boat does not turn at speed. The tracking fin is about 19" long and 6" tall. 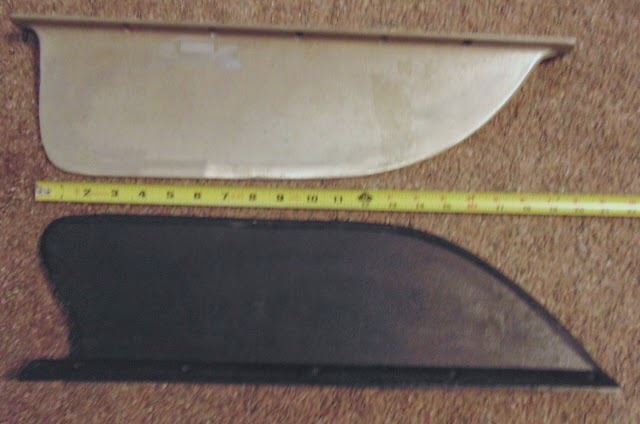 The older aluminum fins were slightly longer and the holes are in a different locations than our composite fins holes. 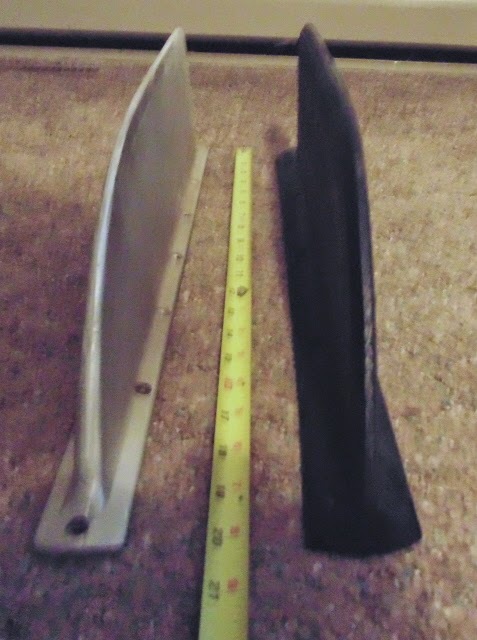 So replacing an old tracking fin with a new one is much easier. The older boats had a cast aluminum tracking fin. They are no longer available. We switched to a composite tracking fin a long time ago for several reasons. The main one being a composite fin will break off and do less damage to the hull than a metal one will. Easier and cheaper to replace a tracking fin than to fix a hole and replace a fin. If your boat has lost its tracking fin the biggest concern should be the surface the tracking fin is mounted on. If water has gotten into the balsa coring it could damage the area quickly. If the mounting area is bad the places the tracking fin are attached may not hold for very long. Fixing the hull can get very expensive very quickly. 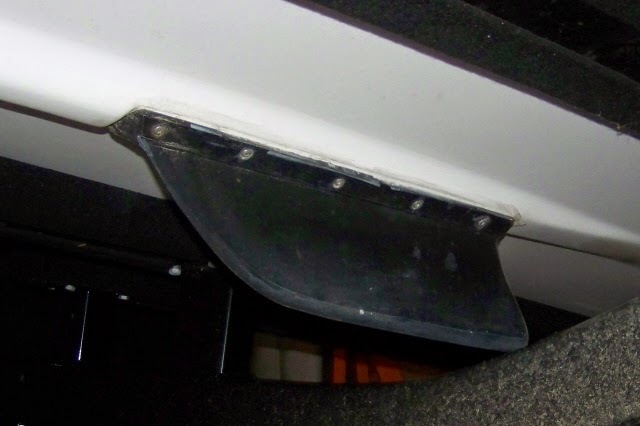 If you choose to install a new tracking fin using a good marine caulk just like is used for mounting outboard engines is a good idea. Use a lot and put it on both the boat and tracking fin. Being neat is not important but getting enough caulk around the holes is important. The excess caulk can be wiped off and no one looks at the bottom of your boat besides. We use stainless steel screws and you should predrill the holes so the screws don't break off while installing them.